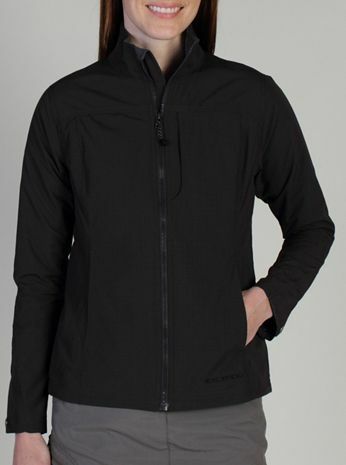 The ultimate lightweight travel jacket, the FlyQ Lite is a highly intelligent jacket with an advanced Travel Pocket System that will help you breeze through airport security. 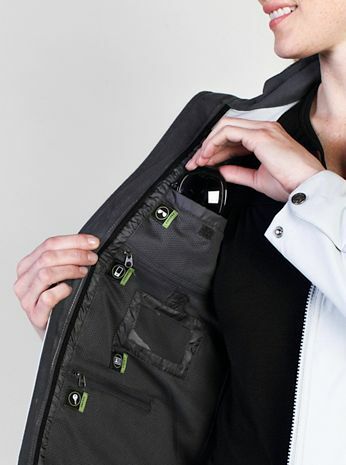 It features pockets for gadgets with clear panels that are compatible with touch screens, a microfleece-lined glasses pocket, a key clip, and a pocket specifically for a water bottle just to name a few. It will also protect you and your belongings from the elements thanks to a Durable Water Repellent (DWR) finish and coated ripstop fabric. Care instructions: Machine cold wash with like colours. Tumble dry on low. Iron on low/delicate setting. Do not bleach. Do not dry clean.